ORION (0079) succeed breakout bolinger band squeeze & go higher high. 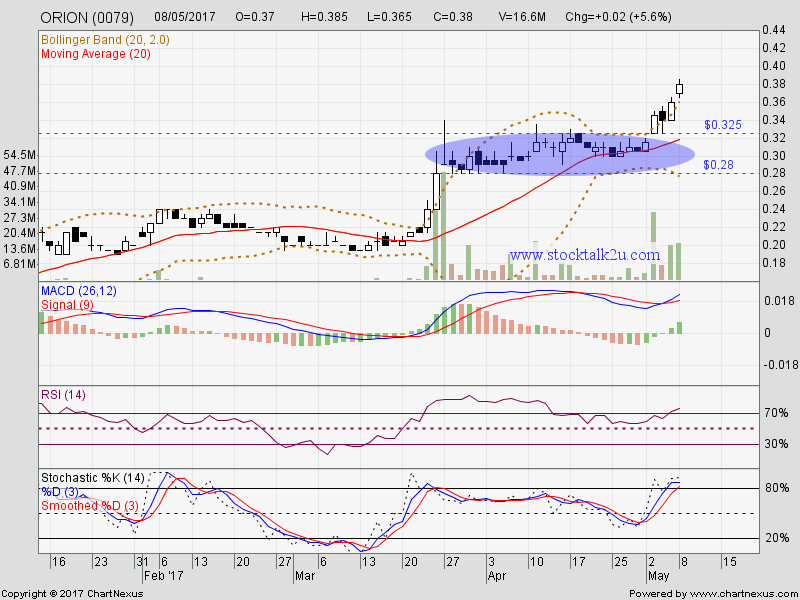 Immediate resistance @ RM0.40 level. Subsequent resistance @ RM0.46 level. 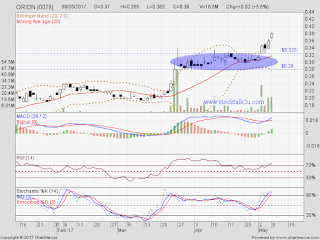 Immediate support @ RM0.325 level. Subsequent support @ RM0.28 level. Higher high & higher low is confirmed, so uptrend will be resume.